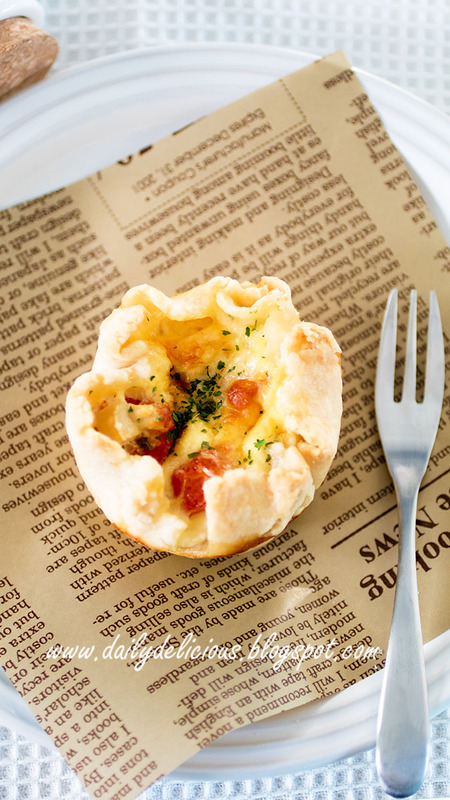 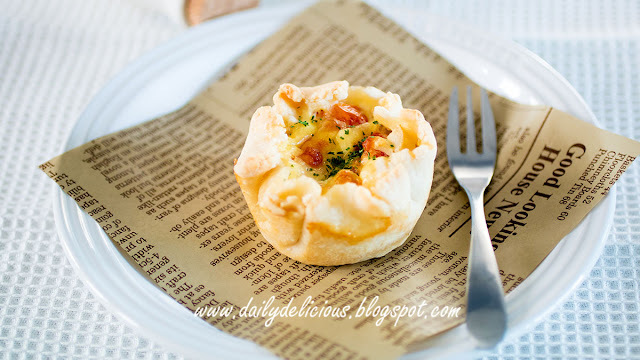 dailydelicious: Mini Quiche: Quick and easy savoury treat! 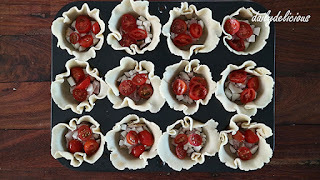 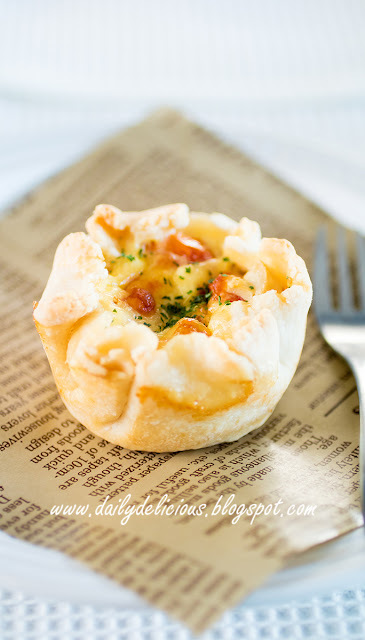 Mini Quiche: Quick and easy savoury treat! Making quiche is easier than you think, and with this recipe, you don't need any special pan to make it too. 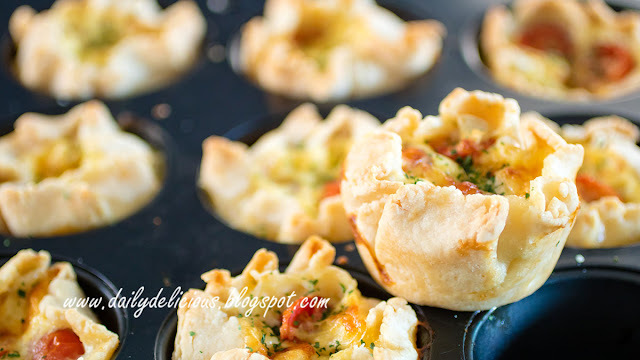 Because all you need is a simple muffin tin that you can buy it everywhere ^^. 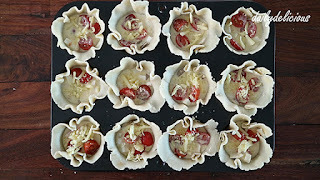 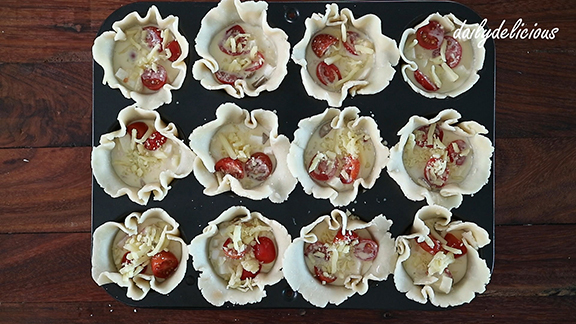 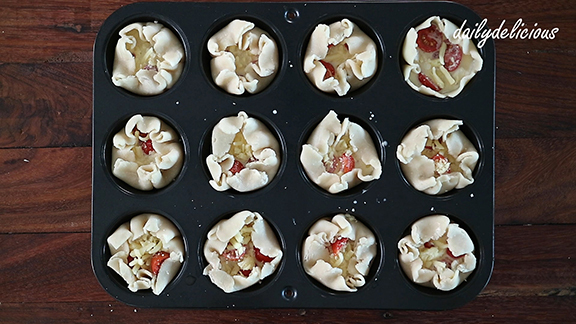 And this recipe, you don't have to pre-bake the pastry, just put everything into a muffin tin and bake that's all. 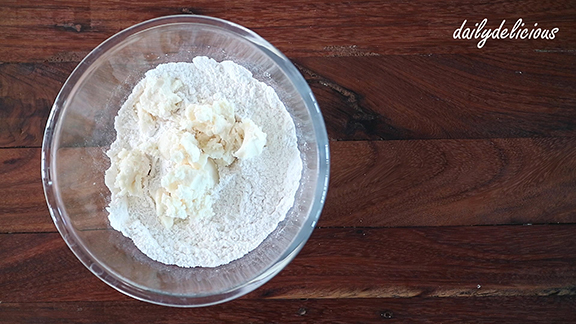 Using shortening is good for making pastry because it doesn't contain water (butter has 10-18% of water depends on each brand). 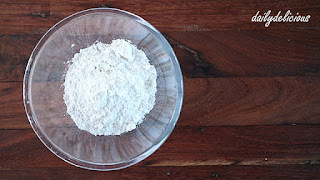 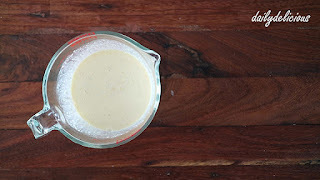 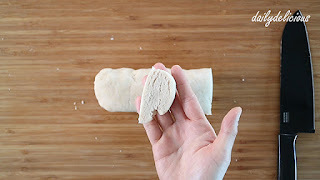 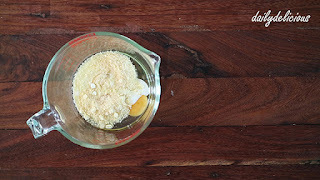 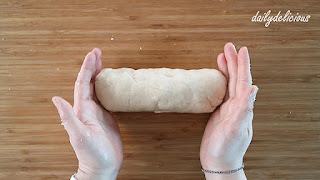 Starting by mixing the shortening with the flour, you already prevent most of the flour to crate gluten when touching with the liquid, and it means your pastry won't become hard. 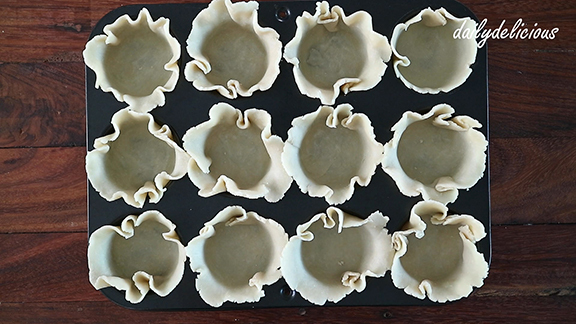 For the filling, I like to say that it's up to you. 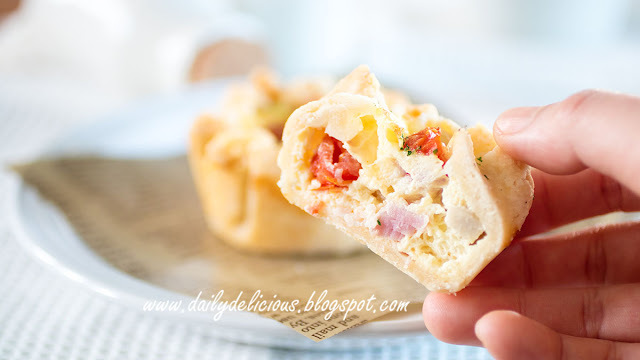 You can use ham, bacon, onion or anything that you love and cut them into small pieces before adding. 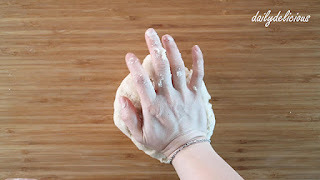 I love the feeling that we are free to make it the way we want, haha. 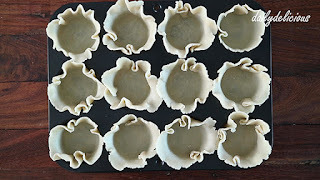 Don't forget that the filling need time to set before taking it out of the tins, beside this warning everything is easy! 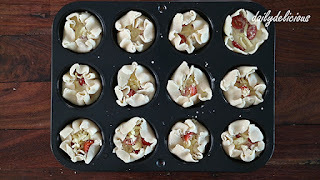 Brush 12 muffin tins with shortening. Put flour, sugar, baking powder, and salt into a bowl. 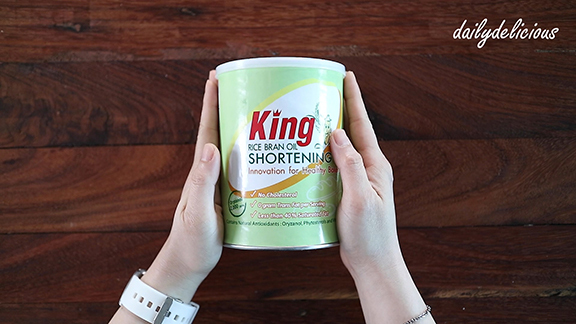 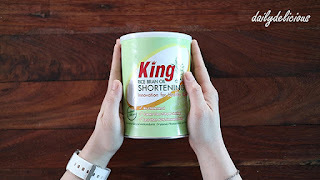 Put the shortening into the bowl. 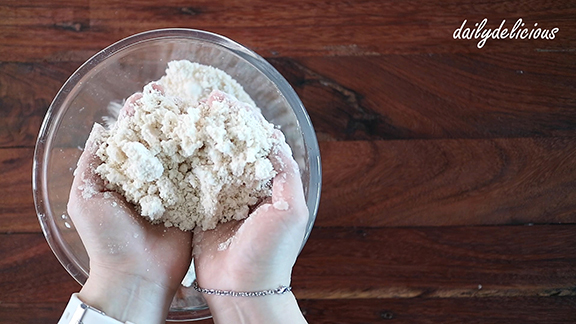 Use your fingertips to mix until breadcrumbs formed. Pour the milk into the bowl. 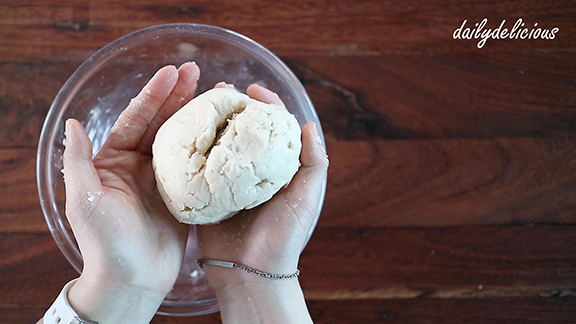 Mix until dough formed, and remove from the bowl. Press to smooth the pastry. 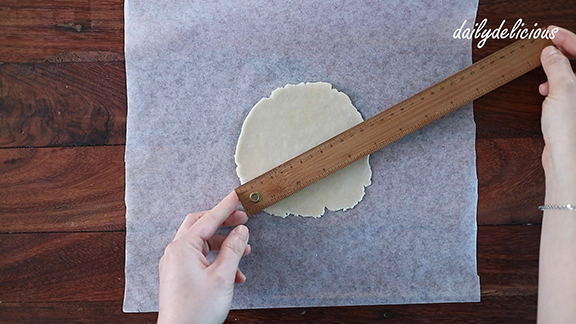 Place between 2 sheets of baking paper. 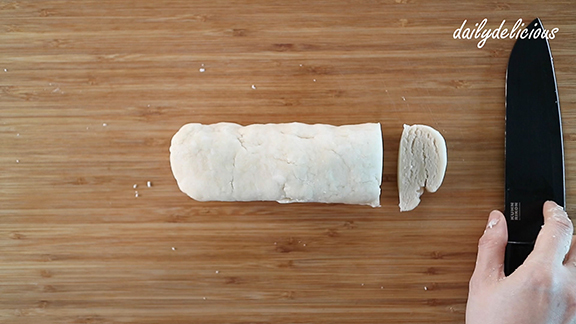 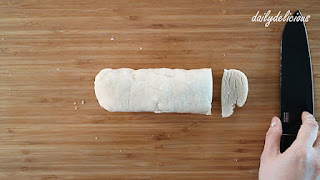 Roll with a rolling pin. Until you get 13 cm round. 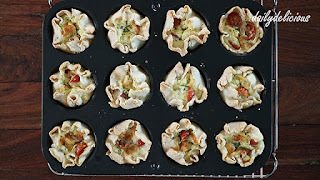 Press into prepared muffin tins. Put the filling (ham, tomatoes, mushroom etc ^^), into the pastry. 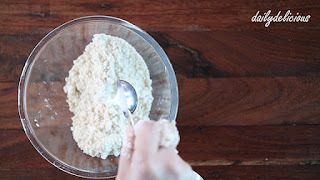 Put eggs, cheese, milk, whipping cream, salt and pepper into a bowl. Fold the pastry to cover the filling. Bake for 25- 30 minutes, remove from the oven and sprinkle with parsley (if using), let the quiche set before removing from the tins. Dinner Rolls: Delicious with every meals.